Hello pretties, do you all trust on kitchen remedies for skin care? Well I do, but seriously these old school remedies require a lot of time which we dont have. So, what about goodness of the kitchen being bottled and given to us for easy use? Well, VLCC Wild Turmeric Face Wash is one such item that has one of the essentials of Indian kitchen, turmeric as the main ingredient. Wild turmeric, used in numerous Ayurvedic products, is known for its skin purifying and healing qualities. It is loaded with anti-oxidants and has anti-inflammatory, anti-septic and anti-bacterial properties. The yellow pigment in the turmeric makes the skin look brighter. 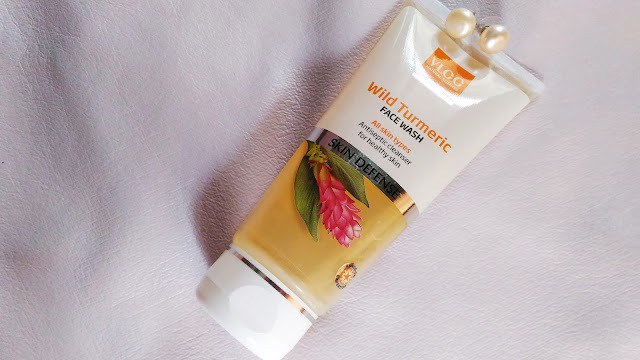 Wild turmeric along with Honey, which is another great natural anti-septic and a rich hydrator, makes this facewash a refreshing, gentle cleanser that removes microbes and pollutants from the pores and protects the skin against environmental damage. Use this daily for clear, brighter complexion. Packaging: VLCC Wild Turmeric Face Wash comes in a transparent and white tube with a white flip open cap. 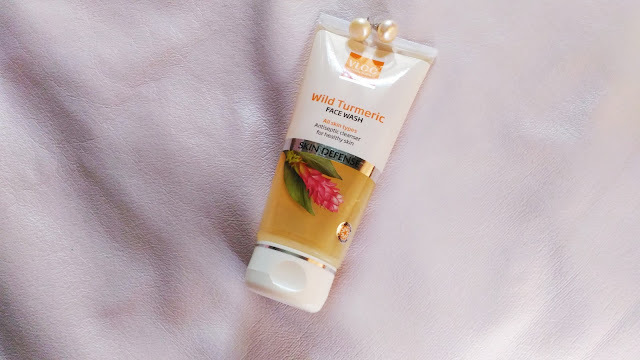 My experience: VLCC Wild Turmeric Face Wash has a very nice smell. 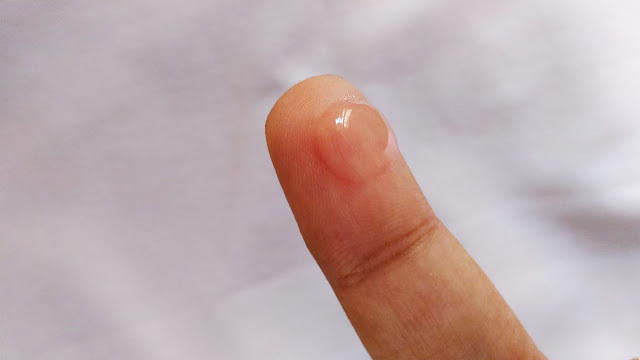 The texture of the face wash is gel like. It is very gentle on the skin too. My skin is normal to dry and I like using either cream cleansers or face washes that are very gentle. And it is perfect for my choice. It lathers decently and cleanses the skin well. It keeps the softness of the skin intact. The skin does not feel too tight or dry after rinsing. VLCC Wild Turmeric Face Wash is a face wash that does a good job in cleaning of dirt and oil away without turning the skin dry. It is something that you can use everyday for a clean face. It will be suitable for all types of skin. It gives a nice glow to the skin, although I have not seen it to be too effective on pores. VLCC Wild Turmeric Face Wash is a good product that can be used daily to keep the skin's softness intact.